Ray Darley Agricultural Contractors make and sell high quality haylage and hay. We always stand by all products we supply, ensuring our customers a top quality forage at all times with supply available all year round... We pride ourselves in providing some of the top racehorse trainers, equestrian yards, horse/pony owners, and farmers in the area. This is first cut new seeds grass, comprising of a special rye grass mix. Great care and attention to detail is taken to cut and make at the very optimum time. 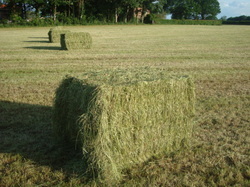 Bales are wrapped with eight layers of quality plastic, resulting in top quality high protein haylage. 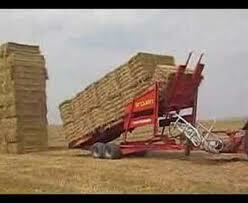 Every bale supplied is guaranteed. This is second cut new seeds grass of the same ryegrass mix. As always we make sure we cut and bale at the most optimum time, while keeping a close eye on weather conditions. Excellent quality forage with every bale guaranteed. Bales are made with our 80 x 90 high density square baler, and are 120 -150 in length. This is an ideal size to roll flat over flat, or fit neatly in the back of a pickup truck. Round bales are also made if they are your preference. Bales can be collected direct from our farm or we offer a delivery service to all areas. We have barley, wheat, & oat straw for sale all year round, in a variety of square and round bale sizes. Customers can collect straw from our premises or we offer a delivery service to all areas.